Over the past thirty years we have witnessed a demand for resources such as minerals, oil, and gas, which is only set to increase. This book examines the relationship between Arctic communities and extractive resource development. 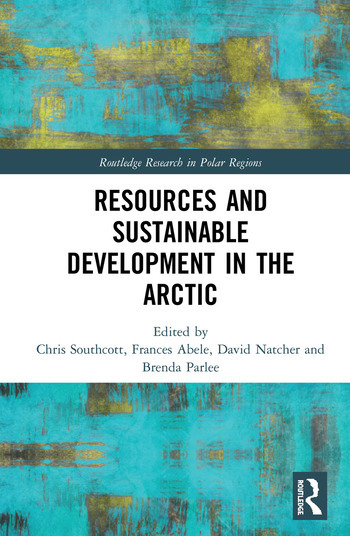 This book provides an insightful summary of issues surrounding resource extraction in the Arctic, and will be essential reading for anyone interested in environmental impact assessments, globalization and Indigenous communities, and the future of the Arctic region. Chris Southcott is the Principal Investigator for the Resources and Sustainable Development in the Arctic (ReSDA) research project as well as Theme Coordinator for the Sustainable Communities research work. He is a Professor of Sociology at Lakehead University in Thunder Bay, Ontario, Canada. Frances Abele is the ReSDA Theme Coordinator for the Sustainable Regions research and is a Professor in the School of Public Policy and Administration and Academic Director of the Carleton Centre for Community Innovation, both at Carleton University in Ottawa, Canada. David Natcher is the ReSDA Theme Coordinator for the Sustainable Cultures research and is a Professor in the Department of Agricultural and Resource Economics at the University of Saskatchewan, Canada. Brenda Parlee is the ReSDA Theme Coordinator for the Sustainable Environments research and currently Associate Professor and a Canada Research Chair in the Department of Resource Economics and Environmental Sociology in the Faculty of Agricultural, Life & Environmental Sciences at the University of Alberta, Canada.